Focus once called her “Germany’s top body language expert”. She has also swept the board at the most coveted speaker awards. Sometimes she features in TV programs broadcast by ARD, RTL or Pro7. There are many sides to Monika Matschnig’s success. Her versatility is exemplary. 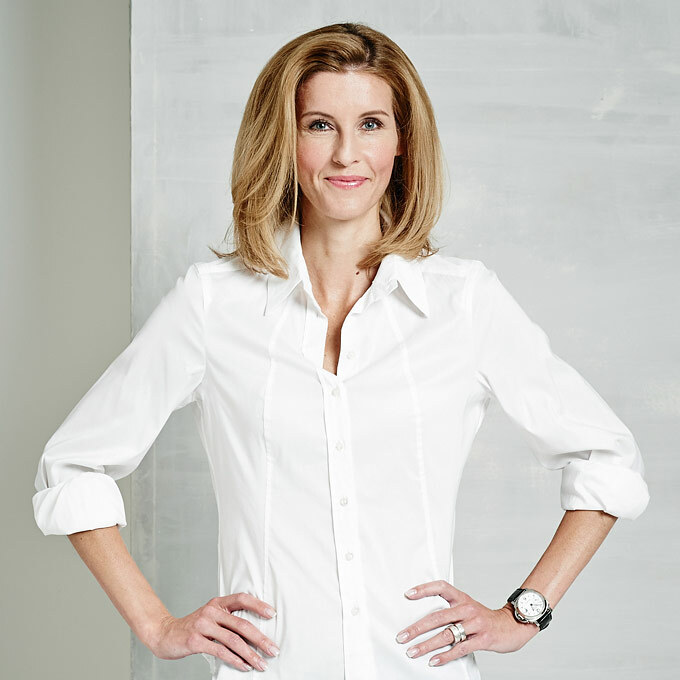 She is a keynote speaker, author, consultant, lecturer and coach. Her presentations and seminars inspire enthusiasm in thousands of people every year. Her books are best-sellers. As a graduate psychologist who focuses on personality, work and organizational psychology and as a qualified teacher in the field of adult education, her extensive knowledge and clever didactics make her a force to be reckoned with. She has been passing on her expertise to managers, executives and their personnel, politicians and private individuals for more than ten years. Impact. Always. Everywhere. This is her promise. Monika Matschnig used to play in the Austrian national volleyball team. Back then, she realised that if you want to win, you have to keep your inner attitude in harmony with your physical expression. Radiating confidence, evaluating the other person, giving the right signals at the right moment: all these are essential. In sport as in your working and private life. These insights still influence Monika Matschnig’s work today. She loves taking the stage and inspiring enthusiasm for her philosophy of success. Her energy is infectious. In seminars and coaching sessions, she shows that she is a brilliant analyst and consultant. She sees the catches right away. And how a few tweaks would improve performance. A woman of many talentsPresentation, training or coaching – it works! 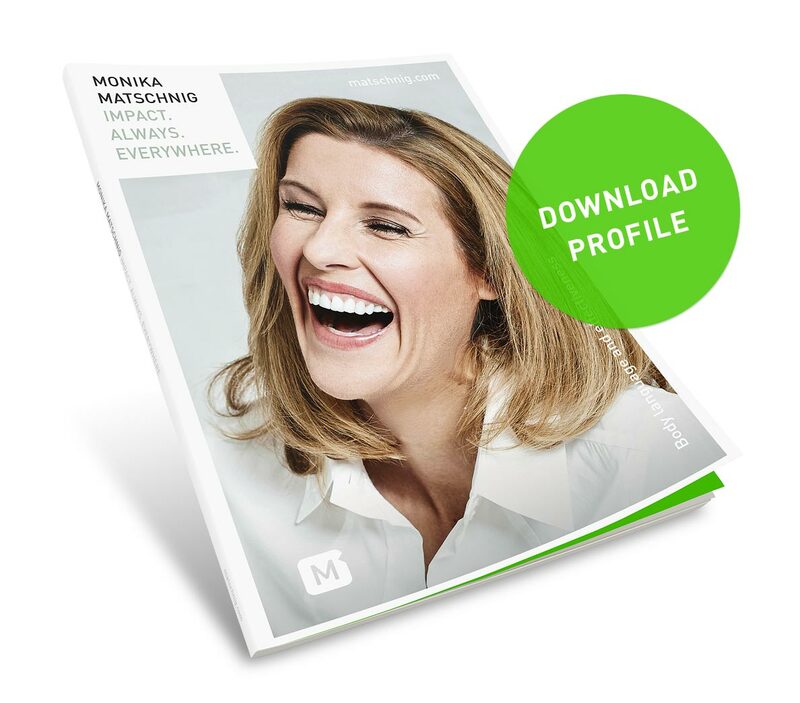 “Monika Matschnig is a dynamic, inspiring and humorous presenter” is the general opinion of here clients. These include national and international companies and organisations such as BMW, AWD, DHL, Deutsche Bank, e.on Bayern, GlaxoSmithKline, IBM, Intel, Jaguar, Jungheinrich, Land Rover, Lufthansa and TÜV Süd. Aside from her other work, Monika Matschnig teaches at various universities such as the Hasso Plattner Institute, the Universities of Amsterdam, Augsburg and Stuttgart and the ZfU International Business School. It was fun listening to and watching you. Many of our customers voiced highly positive feedback and I am sure that everybody was able to take something for themselves away from this. I was totally flabbergasted the way you handled both English as German without losing the flow of your message! Many thanks for an outstanding and committed presentation. Everybodies excitement was clearly perceptible! The feedback from our employees was INCREDIBLY positive, everybody was completely thrilled! Many, many, many thanks for your fireworks, passion and charming competence! Interaction: Because she always manages to connect directly with her audiences, no matter whether there are 50 or 5000. Practical application: Because she packages information in an entertaining manner and gives exercises that fix it in the memory. Experience: Because she has enjoyed more than 15 years of success, both at home and abroad. Client proximity: Because she can adapt to any target group, industry and presentation situation with a sure instinct for the most important essentials. POWER: Because she always gives 100%, just like she used to during her career as a top athlete. Personality: Because she is a force to be reckoned with, both as a person, as a professional and physically (180 cm!). RespeCt: Because she treats the public, clients, organisers and technicians with great respect. Pragmatism: Because as a miner’s daughter, she always keeps her feet on the ground and radiates her Austrian charm everywhere.